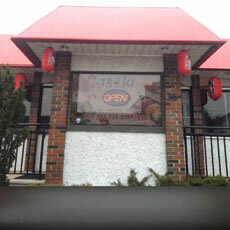 The Kiseki Japanese Restaurant is known for serving all your favorite Japanese dishes, including Shrimp Tempura, Hibachi Chicken, Miso Soup, Kani Salad, Lady Finger, Rainbow Roll, Beef Negimaki & etc. Located at 36 Mt Vernon St, Ridgefield Park, NJ 07660, our restaurant offers a wide array of authentic Japanese Food, such as Shrimp Tempura, Hibachi Chicken, Miso Soup, Kani Salad, Lady Finger, Rainbow Roll, Beef Negimaki, & etc. Try our delicious food and service today. Come in for an JapaneseLunch Special or during evenings for a delicious Japanese style dinner.